One of our bestselling ranges of Rugby gear is Gamegear. We tested this out with Littleborough RUFC, Watch our video to see their rugby kit in action. Customised golf polo shirts for events, tours and holidays. 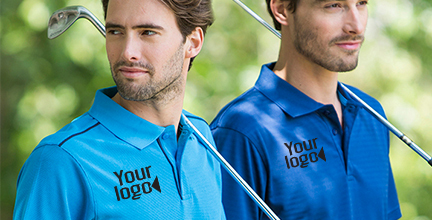 Add your logo or design to our extensive range of polo shirts - why not add an embroidered golf cap to complete your groups look on the course. For cooler climates or early morning rounds we also have a great range of smart fleeces and gilets, all available with your logo. Want to add a year or date to an existing golf club logo for a specific tour? Try using our logo creator now. Get custom team shirts printed or embroidered with your club emblem or design. 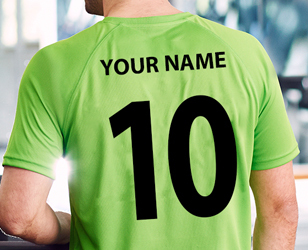 Printing is available for individual names and numbers, or to highlight a particular tournament or position with the squad such as 'captain'. 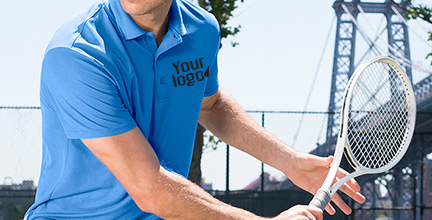 We offer a huge range of sportswear for tennis teams, from traditional white polo shirts to more colourful garments with design features such as flashing on the sleeves or collar.